Manchester Blog, Rambler: Professional Blogger? I popped down to the big smoke the other day to attend an event about monetising your blog (don't worry there is a glossary at the bottom). The event was hosted in the rather fabulous Soho Sanctum Hotel (yes the one owned by Mark Fuller) and enabled brands and bloggers to meet with the people behind the Affiliate Marketing channels at House of Fraser and the Affiliate networks like Commission Junction and Affiliate Window. So after bumping into the cast of The Only Way Is Essex and leading them to the wrong press-day at the Soho Hotel (woops) and a trip to UNIQLO it was time to get down to business! I was rather shocked to learn that some bloggers are earning £5,000-£6,000 p/week from their advertising and affiliate strategies! I can assure you I am not one of those, but wow, what an invested interest in ecommerce marketing. Who can call it niche when £48bil p/annum is generated for etailers from Affiliates? Among other less statistical outcomes of the night was the general consensus that Affiliate Marketing is tricky and can also, as Ross Carter from House of Fraser put it, "be debilitating to your business" if not done right. If you're an etailer that has fewer than 10,000 unique visitors p/month then you may not generate enough additional sales from an Affiliate programme to justify the Merchant fees charged by the Networks. it was advised that brands blog about their brand and generate and income by becoming an Affiliate Publisher. These blogs, together with Social Media output, will help get the brand name imprinted in cyberspace and then an Affiliate Programme may be worth it! Also, if you're a blogger or website owner that is a registered Publisher it can be tempting to use Affiliates to dictate your content and this jepodises the readability of your work, no one wants every blog to sound like LOOK magazine. However, in my role at my Intership I hope to be able to use Affiliate marketing to help generate an income for the business and then maybe I'll be able to apply this elsewhere... Now, what was a Deep Link again? Publishers: Bloggers and website owners who are signed to Affiliate Networks and have partnerships with brands who have Affiliate Programmes. Product feed: A catalogue of the brand’s products which includes images and tracked image HTML codes to be included on blogs and websites. Affiliate Network: An online platform that enables Merchants to meet their Publishers and for both to make money. Affiliate Networks are free for Publishers to join but charge monthly fees to Merchants. Deep Link: A Web address (URL) that once clicked takes the reader directly to a specific page or product rather than a basic URL that takes the viewer to a homepage. Embedded Link: A HTML link that is included in a website or blog, also called a Hyperlink. 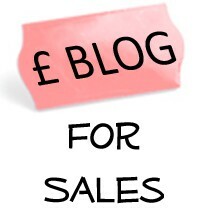 Monetise: to make money for your website or blog. PPC: Pay Per Click. Advertising with Google which will ensure your brand appears at the top of the search. Conversion Rate: the percentage of unique visitors that visit our site and subsequently purchase.